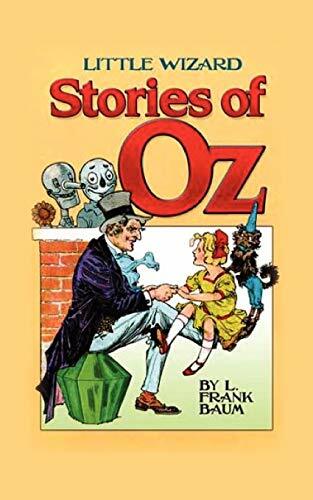 Little Wizard Stories of Oz is a set of six short stories and were part of a project to revitalize and continue the series of Oz books that Baum had written up to that date. The story collection effectively constitutes a fifteenth Oz book by Baum. The six tales in the Little Wizard Stories are: The Cowardly Lion and the Hungry Tiger Little Dorothy and Toto Tiktok and the Nome King Ozma and the Little Wizard Jack Pumpkinhead and the Sawhorse The Scarecrow and the Tin Woodman Lyman Frank Baum was an American author of children's books, best known for writing The Wonderful Wizard of Oz. He wrote thirteen novel sequels, nine other fantasy novels, and other works.